Bournemouth beach had been voted Britain’s Best Beach with its 7 miles of golden sand and glittering sea. 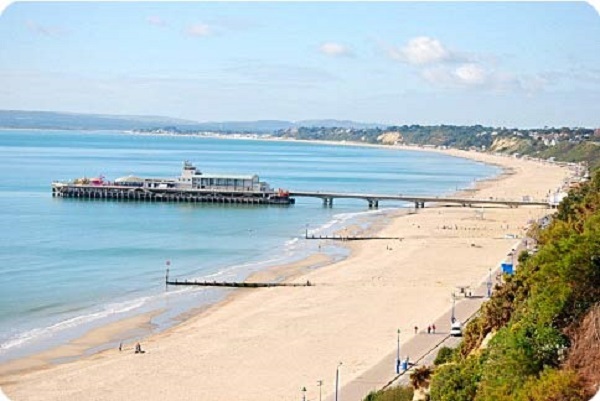 A Trip Advisor poll has voted Bournemouth the top British beach destination in the UK in 2012. Come and visit! Bournemouth Pier and Beaches are just a short stroll away with small cafes alongside and amusements for the children to spend hours playing! There is plenty to do from sunbathing to a cycle along the prom, boat trips from the pier, family friendly restaurants, cafe’s or a range of water sports including powerboats, jet-skiing and surfing. Come and visit and see for yourself the amount of activities are endless!